EU member states have voted to postpone a ban on inefficient halogen light bulbs by two years – to 2018. The controversial delay was backed by member state experts in a tight vote on Friday. It is the first time that the EU has rolled back an agreed product efficiency measure. A spokesperson for Coolproducts, an energy efficiency campaign group, said that the delay, implemented following heavy industry lobbying, will wipe out €6.6bn in energy savings for consumers. The phase-out of class D halogen light bulbs was due to take effect from September next year, completing a 2009 measure aimed at taking inefficient non-directional light bulbs off the EU market. A spokesperson for Coolproducts, an energy efficiency campaign group, said that the delay, implemented following heavy industry lobbying, will wipe out €6.6bn (£4.8bn) in energy savings for consumers. 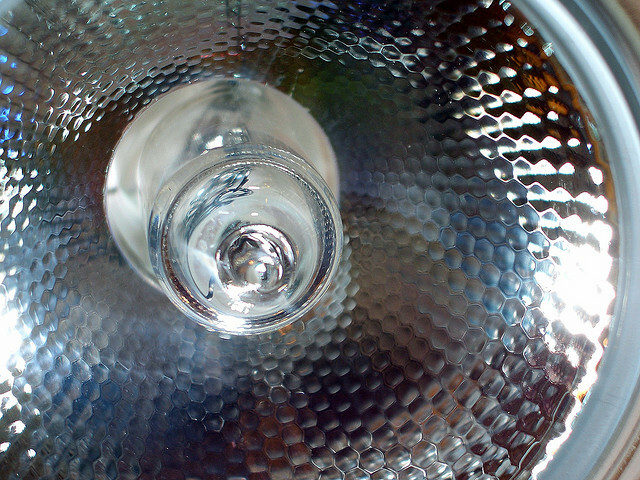 The European Commission proposed to postpone the final stage based on industry’s concern, backed by some member states, that LED technology would not be ready to replace halogen lamps by 2016. The Commission argued that switching to energy-efficient lamps in 2018 would still save the equivalent of Portugal’s annual electricity consumption each year and cut CO2 emissions by 15.2m tonnes by 2025. But recent studies have shown that efficient LED bulb replacements are already available on the market, with some models at price and quality levels only expected by 2025. The lighting industry rejected this research. “[The development of] alternative technologies takes time to be fully realised – and then to subsequently be widely available on the market,” said Diederik de Stoppelaar of LightingEurope, an industry association. The industry called the 2018 phase-out date an “acceptable compromise” reiterating that it would have preferred a ban in 2020. But Stamatis Sivitos of Coolproducts said industry had “watered down the original law, then come back calling for more delays using old data and scare tactics on timid governments”. The European Union's Ecodesign Directive introduced a framework to set mandatory ecological requirements for energy-using and energy-related products sold in the 27 member states. Currently the scope covers more than 40 product groups, including boilers, lightbulbs and fridges that are responsible for 40% of the EU greenhouse gas emissions. The aim of the directive is that manufactures of the energy-using products should, at the design stage, be obliged to reduce the energy consumption and other environmental impacts of products. About the RE Guardian article quoted above: “Cool Products” talk about losing 6 billion for consumers. That only happens if people would NOT have bought the “great new” LEDs voluntarily. Freedomlightbulb org blog comments on this EU decision, some points from it…. All products have advantages – as EU stats show, most people do buy some energy efficient bulbs. They just don’t want ALL their bulbs in usual 30 lighting point households to be “energy saving”, whether on quality or usability in different situations, or on money saving logic (little saving from little used expensive bulbs). = are all better than banning popular cheap generic products and handing over large profits for patented complex products. One day, maybe someone in the EU is going to stand back and take an overall look at the range of Ecodesign banning going on also on washing machines, vacuum cleaners, televisions, coffee makers etc , noting not only that bans affect performance, usability and other characteristics apart from price, but also that the savings may not be there and that if so that alternative policies as described are preferable.